Moving an aquarium takes a lot of prep and knowledge to pull off right. Fish are especially susceptible to stress, and moving around to new environments is a stressful thing. Take care of your fish and learn to move them the right way. 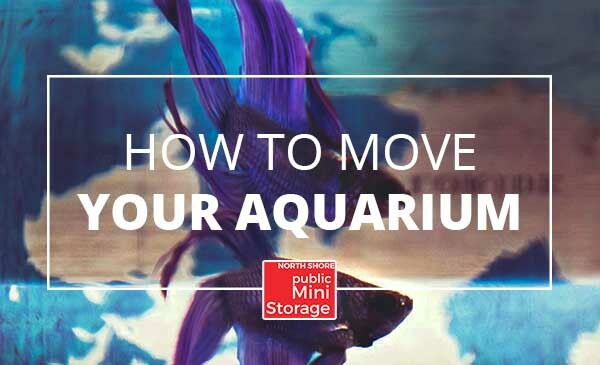 Here are a few steps that you can take to make sure your aquarium and fish survive a move. The prep to move an aquarium starts a few days before the actual move. Make sure to check off this list as you get closer to the moving date. Find a few clean buckets to transport the water. If its a small tank, one bucket will do fine. Make sure they have lids and won’t become contaminated. Make sure you have a stock of all the materials you need when your fish arrive at your new place, being without crucial supplies could spell disaster. Stop feeding your fish two days before the move. The day is here, let’s hope you have a friend to help you move that big tank, trying to carry it yourself is a bad idea. First, you want to start by removing the fish, using small bags filled with the water from the tank, place each fish in each bag and store them somewhere dark. Next, you want to empty the tank, using those buckets you bought earlier to save the water. The water is a complex and delicate thing to get perfect, by saving it, you will save a lot of time. Once this is done, try to move everything as quickly as possible. The oxygen in the fish bags will start to deplete, so the quicker the fish get back home the better. Once at your new place, pour the water back into the tank, turn on the pumps and let the temperature stabilize. Add your fish back slowly, first float the bags in the tank, let the water in the bag reach the temp of the tank water, then pour them inside. That’s it! If you need a more detailed guide on acclimatizing your fish, check out this great guide. If you realize that you need a bit more room during your move or have too many fish supplies, our self storage units are great for storing aquarium supplies. Great place to get storage. At North Shore Public Mini Storage, we are committed to providing our customers with secure storage, competitive rates and no hidden fees. We offer you the most convenient, affordable, no-frills storage facility available today. We will do our best to make your move as easy as possible! Never have to leave the comfort of your own home. 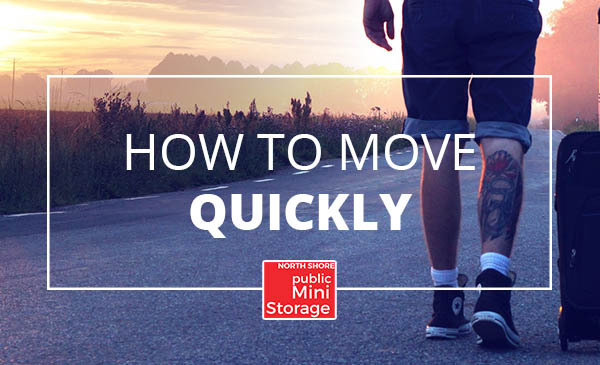 North Shore Mini Storage now offers the convenience of paying right from home!